How will you Revolutionize the World? Students just finished our first school wide project: Revolution Garden. This project combined 9th and 10th graders in their four cores looking at the Industrial Revolution to answer the driving question: “How will you Revolutionize the World?” Students studied the history of industrialization and its effects. They then picked a local, modern problem to work with a community partner on a solution. 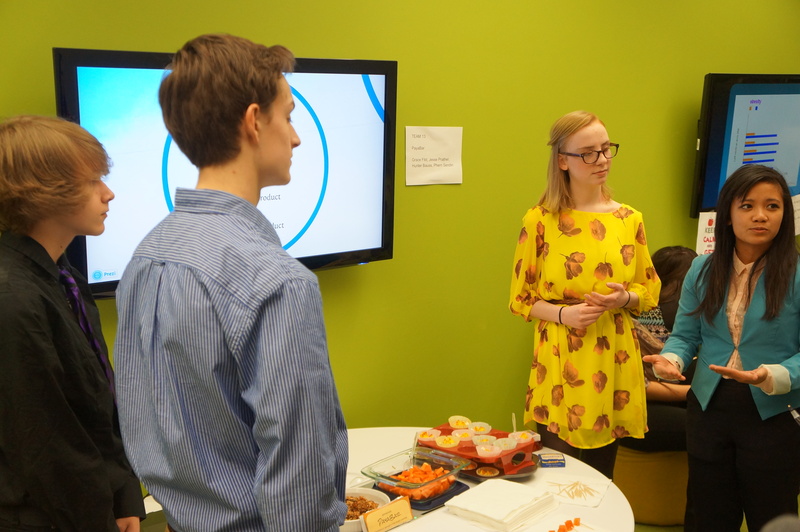 Students had to submit a grant proposal and present a showcase of their ideas. Students were competing for real money donated by our county United Way. We created a different schedule for the three weeks of this project giving students “team time” to work on their project besides the related standards that they were studying in their core classes. Part of the students’ requirements was to find their own community partner. It was exciting for them to make calls and emails and get responses, sometimes in the middle of class. 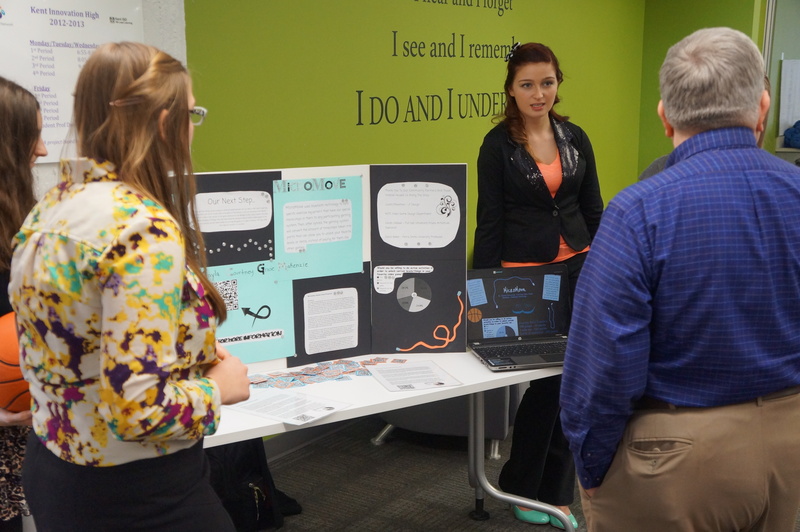 Many of the students had prepared professional posters and presentations for the showcase. We talked about how they needed a “hook” to get visitors to come to their booth. Students brainstormed props to to attract the community to check out their idea. Some students used food and others printed 3D models of their prototypes. I think this was a great learning moment for them to be both creative and marketable. 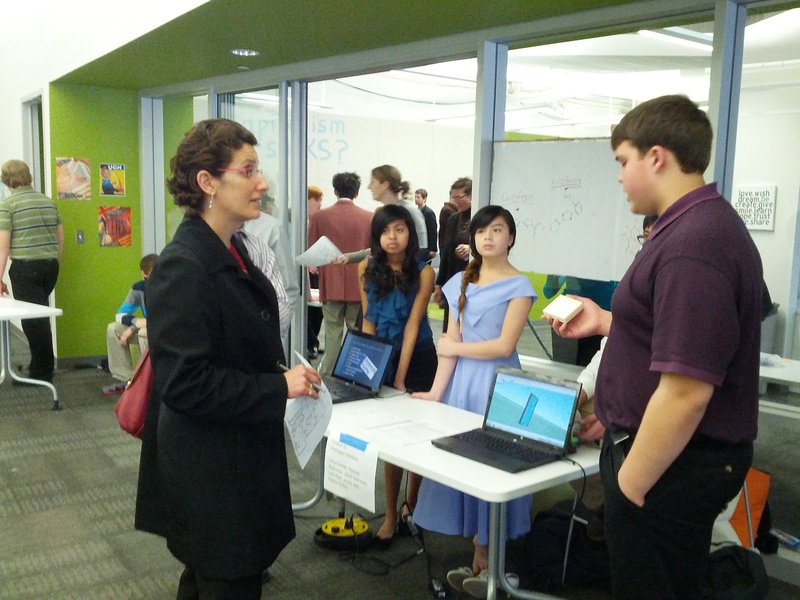 The showcase was a huge success with many wonderful ideas. Our county ISD has a grant writer who came and she wants to pursue federal grants for many of the projects. We also had the city Chamber of Commerce group come through and built some great relationships with local businesses. A microchip to be installed in things like jump ropes to be implemented into video games. This project was our most ambitious as a school as it crossed grade levels and classes and had us creating new schedules and home rooms for student teams. It also was very open-ended for students but very relevant by focusing on current problems and involving the community. 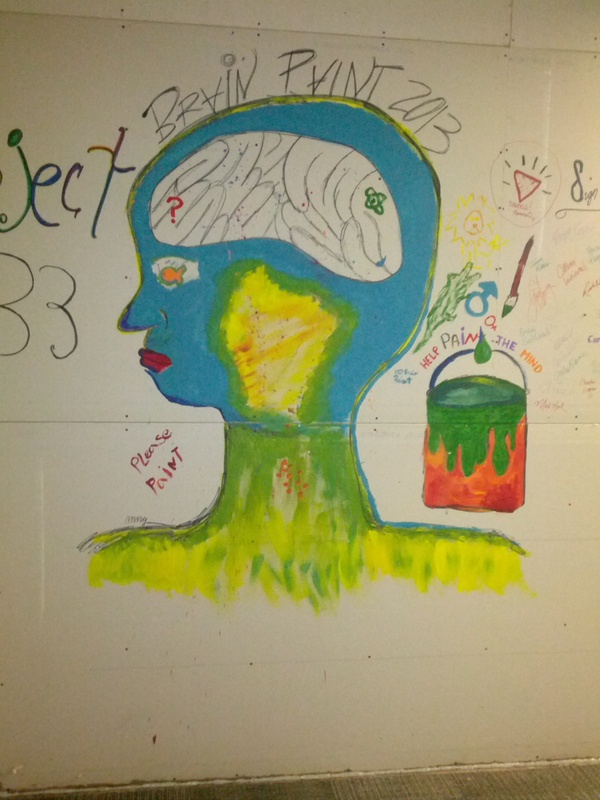 I think this kind of project motivates students because of the relevant choice given them. 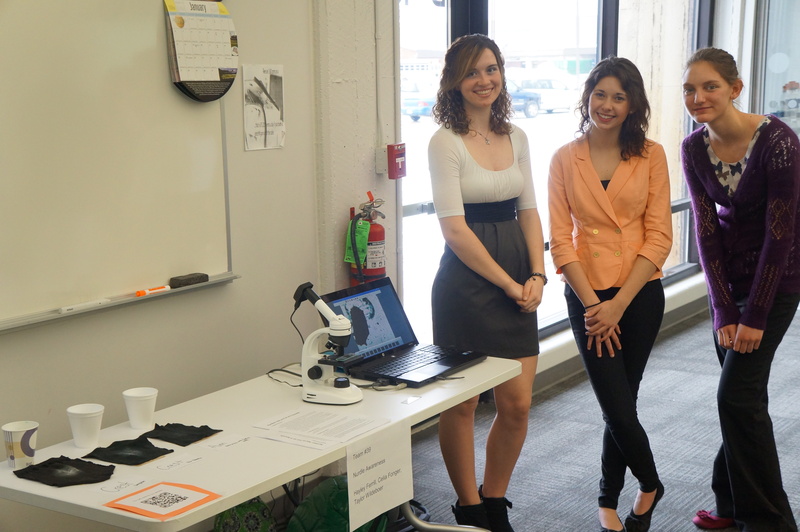 Once again when given the chance our students blew us away with their ideas! This entry was posted in Uncategorized and tagged community, Industrial Revolution, integration, pbl on February 25, 2013 by Michael Kaechele. Wow! What fascinating work. I’m interested in knowing more about how your students recruited community partners. How did you prepare them for this outreach? How did they make those connections?